I was driving into work this morning, a time that is quiet and often contemplative, and was once again wondering what the point was. This was probably in direct reflection of the fact that I wanted to take my children to school today, and I wanted to pick them up. I wanted to straighten my home and I wanted it all to be so easy. While I believe that it is absolutely vital that we all question the purpose, the point of us being on this earth, I don’t believe we will ever know the answer. Maybe the point is to ask the question? If you think about it logically there is really no reason for us to be here on this great earth. If you think it is to better oneself with power and riches, where ultimately is that going to lead you; a higher section of heaven? If the point is to help one another, then once must ignore the fact that we are all dying so all we are doing is staving off the inevitable. Is the point so we can gain knowledge, but to what end? Heaven’s equivalent of the SATs? Maybe our purpose is to be an icon on a computer screen so that God can earn points against his other fellow Gods? Don’t laugh, don’t moan, how do you know? I actually like the idea of God simply sitting in a cubicle with a pocket protector, rumpled clothes and thick glasses, playing hours and hours of a computer game. I like the idea that I exist to score God points, it is at least a reason for our existence. I don’t mind helping the big guy out. And ask any mother sitting next to the hospital bed of their child if they would rather a computer took their child or God? And the computer game idea works for me in one other way; it explains why a God that I am taught to love and worship could allow a great flood that killed everyone but a man and a boat (okay, and a couple of animals). It can explain God’s destruction of Sodom; not only the parts of sins but the parts of innocence. It can explain the inexplicable; the parts that don’t add up. The good and the bad. No one will ever be able to convince me that the God who could give me such perfection as love in my life, could also steal an innocent child’s very world. It won’t work for me; ever. Some cultures and religions believe in incarnation. This idea, that with every life it is our purpose to find a closer and closer relationship with God and perfection is flawed to me. There is no definition of perfection. We each have our own, and maybe some of them are close. But how do you reconcile my definition of perfection with your own? Am I right or are you. And does perfection exist? The reflection of the moon on a still lake can be destroyed by the simple wind. And even further, do you think even someone as revered as Mother Theresa had perfection? Do you think that woman, maybe not her first time out or even her twentieth time out, sat by another sick-bed, in another war-torn country and didn’t ask herself what was the point? Many believe someone like Mother Theresa is our definition of perfect. Yet you honestly believe after that much horror she didn’t look to the heavens and question everything God demanded of her? Is that perfection? 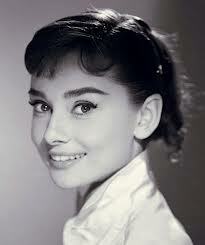 And what about even someone like Audrey Hepburn? It is believed by many that Ms. Hepburn died of a broken heart, a destroyed soul. It is said that after visiting and seeing the absolute horror that one part of mankind can visit on another, that she simply was defeated. The soul, in its strive for perfection, could not encompass the truth. Did she die because she recognized perfection in the screaming and hungry children? Or did she die because God gave her a glimpse of himself in the war she witnessed? Perfection doesn’t exist. It can’t exist in this world. And any argument to the contrary is wasted. There will always be a Hitler, a Stalin; we will always see the next Judas. We will always feel the despair, the horror that one man can visit upon another, and we will always be surrounded by the truth if we so causally open our eyes. Perfection is a myth, not achievable with the very brain that God decided that we needed. There are no tools to give us perfection, even the Bible is so literally flawed. Did Jesus die to give us perfection? And if we are going to sin anyways, why make a mortal man go through it? Was it a marketing ploy? A virus in the computer? I have often wondered in my life if I am the only one who can’t sit in front of a fire, and accept all that we are taught? It is not part of my makeup. Not part of the very person that I am. I will never be able to read the Bible without knowing the facts; i.e. it was written by man, eight hundred years after Jesus lived in order to politically merge a group of tribes. I will never be able to look at an image of God as a man who would arbitrarly kill a group of innocents just so there could be a lesson learned. Could a God kill an innocent child? The good news, I would later learn in life, is that I am not alone. I am like many philosophers and great minds; I am agnostic. I believe there is possibly of a great spirit, but I can’t believe of its direct hand. It simply doesn’t work for me. And although I pray to a God, I do so with a sort of cautious playing all my cards. Maybe I am wrong about the whole God thing, so I might as well try. And I don’t think God minds that. I don’t think He gave me this brain, heart and soul so that I can easily sit in the last pew of a great church and simply absorb all that is given to me. I think he made me human. And while I am not sure why, since there isn’t any real reason to be here, I shall continue on. I shall do my best to keep asking the questions and trying diligently to find the answers. Part of me finds a thrill in the quest, I don’t mind saying. It could be the thrill of bucking tradition or expectation; it could be the thrill of exploring worlds that no one can introduce me to; it could be perversion. Until I have the answers, I will simply imagine God with a Nintendo controller in his hand, playing the game of life. And hopefully, having the time of his life.